We are located 600m south of the Australind Village Shopping Centre at 239 Old Coast Rd, Australind. Look for the two big palm trees and our big blue and white sign! We treat patients from Australind, Bunbury,and throughout the South West. 2. What happens at my first appointment? At your first visit we will get you to fill out a Patient Medical Questionnaire, so please arrive a few minutes early. Your dentist will conduct an initial examination to check your dental health. Dental X-rays may be necessary at this visit. We use one of the latest low dose digital X-ray systems. 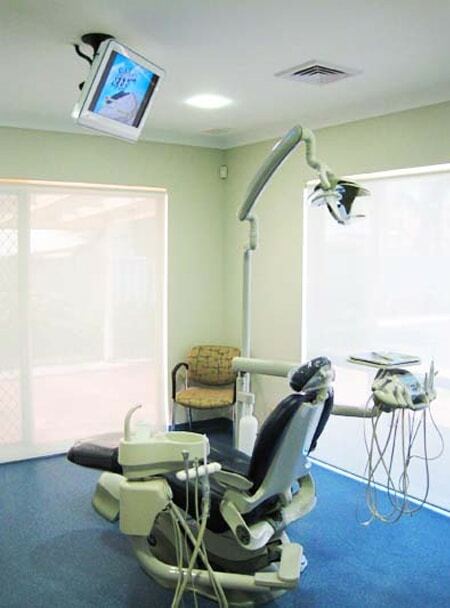 We also have a digital OPG machine for full mouth X-rays. 3. Do you offer emergency treatment? 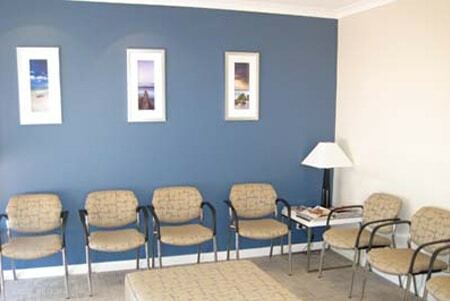 If you require emergency treatment, we will do our best to fit you in on the same day. Emergency appointment time is usually allocated in the mornings, so the earlier you can contact us, the easier it will be to fit you in. We usually keep an hour a day open for emergencies. 4. Are you accepting new patients? Yes, we have expanded our practice in a fast growing area, accepting patients from Bunbury, Australind, and throughout the South West. 5. What payment options do I have? Payment is required on the day of treatment, and we accept cash, cheque, EFTPOS, Visa and Mastercard. We also have HICAPS which enables us to process most private health fund claims on the spot. If you require extensive treatment you will be given a written estimate. 6. Do you treat Department of Veterans’ Affairs patients? 7. Do you treat patients under the Child Dental Benefits Schedule? Yes we do. We usually bulk bill so please confirm this with our staff. 8. Are you a Preferred Provider for HBF and Medibank Private? No, as we believe our treatment should not be compromised by signing up to restrictive health fund contracts. You will still get a rebate from these insurers at our practice if you have ancillary cover subject to the normal rules they have. Health insurance for dental treatment is often poor value for money so you should assess whether it is right for you. Go to: https://www.ada.org.au/time2switch/Home to see if your fund is recommended.